Most observation tasks today are done by wireless microphones, the so-called “bugs”. Beside these, more sophisticated systems like optical lasers, IR Monitoring Systems, GPS, GSM and computer monitoring systems are used. All of these you may find in this catalogue and are supplied by us. But still there is a demand for a conventional monitoring system using wired microphones. PKI 2860 is the best choice for such purposes. With its thin cable and sub-miniature microphone it does not emit any high frequency radiation and perfectly matches the tasks of long-term observations in stationary use and it is hardly detectable. PKI 2860 provides a perfect audio quality with which even whispered words can be heard and recorded. 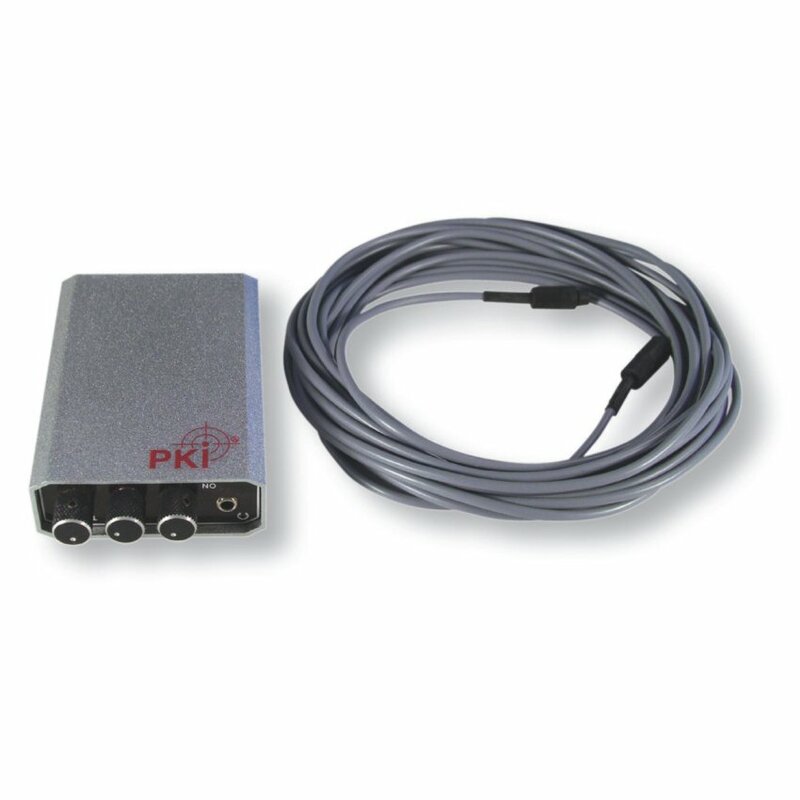 The standard version of the PKI 2860 comes with a 50 m cable and can be cascaded by optionally available cables (each 50 m length) up to a total distance of 500 m without any loss of audio quality. The supplied high-capacity and low-noise audio-amplifier is equipped with an audio input socket, a socket for ear-phone plus an output for any kind of recorder.